For anyone who likes handicrafts and a bargain, Vietnam is nirvana. Wooden water puppets, with ingenious mechanisms, silk, lacquerware, ceramics, colourful hill-tribe bags, clothing and hand-painted silk greetings cards are all a must-buy. Clothes are particularly good value and tailors can make up clothes within 24 hours in many places, particularly Hoi An. Each town and city has one or more markets and these are always worth visiting as much for the experience as for the shopping. Hanoi and Ho Chi Minh City have seen the arrival of upmarket shopping malls selling leading international and domestic brands. In small shops and markets have a go at bargaining for any items that catch your eye, but remember to keep it good-natured. Many of the souvenir shops in major towns and cities don’t budge much on prices and some are even fixed price. Shops are generally open seven days a week from 08h00 to 20h00; some are open until 22h00 hours. 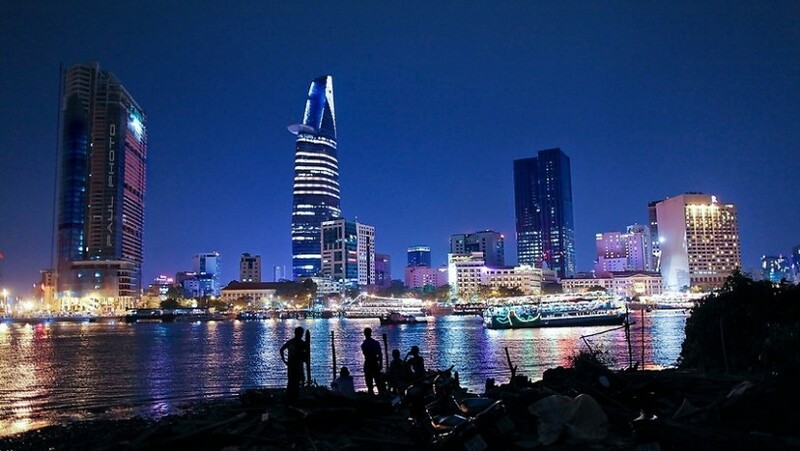 Ho Chi Minh City is packed with bars and clubs ranging from dingy bars to some very upmarket venues. Most of the nightlife is concentrated in District 1. Hanoi’s nightlife is much quieter and the streets can appear quiet after 22h00 hrs. The venues tend to be small here and are concentrated in the Old Quarter and Hoan Kiem lake. Live music is mainly restricted to international acts from the Philippines and Thailand performing in international hotels, with a few bars hosting local jazz and rock bands. Elsewhere, the nightlife is generally restricted to small bars and hotels but there is a particularly good bar/café scene in Hoi An in central Vietnam. For visitors seeking out something more cultural a visit to the water puppet theatre is entertaining. The bia hois (pavement pubs) also offer a fun social experience and the friendly locals will often talk to visitors. Food and snacks such as boiled quails’ eggs are also usually available. Traditional music and dance is performed in some restaurants in the main tourist areas, particularly Hanoi, Ho Chi Minh City, Danang and Hue.